The wonder of the cinema comes home with 4K HDR clarity. A 2200 lumen Z-Phosphor laser light source brings exceptionally bright and clear colors contrast and motion for over 20000 hours of play time. With the ARC-F lens equipped for ultra-crisp images youll wonder how you watched movies before the VW995ES. Compact size for installation flexibility. 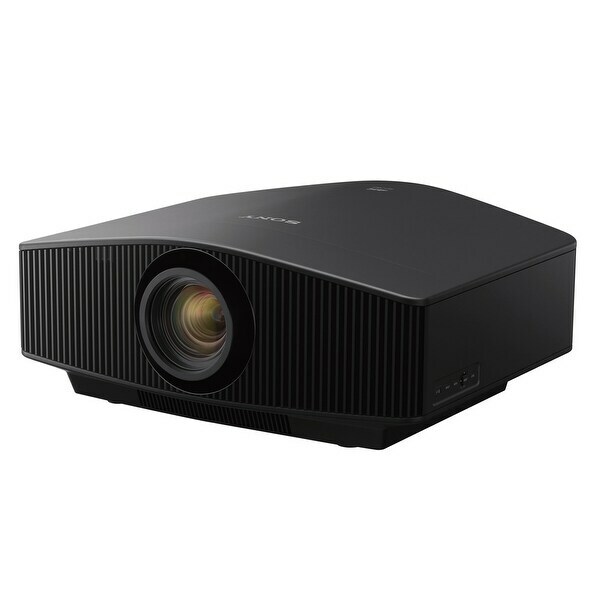 With an impressive 2200 lumens brightness and a spectacularly high contrast range 4K images are clear and bright with sparkling highlights and rich deep blacks. Dynamic Laser control Advanced Iris work together to deliver superb image quality with deeper blacks while maintaining bright highlights. The ARC-F lens features an 18-piece all-glass lens design which faithfully transfers images from the 4K imagers to the entire screen from edge to edge. Crisp picture quality is displayed as beautifully as it was captured. With the Digital Focus Optimizer image quality is actively refined and corrected during the viewing experience ensuring your content always looks tack-sharp. Separate imagers for Red Green and Blue channels give you all 8.8 million pixels in full rich color at every instant. HDR Reference Mode allows clipping for the brightest displayed pixels to create a richer gradation in bright parts of the scene and retain HDR thats true to the creators intent. On-screen action looks smother with Motionflow even in 4K content. Action in movies sports and video games appears incredibly clear and life-like as if you were there in real life. 4K native SXRD panels produce outstanding native device contrast reproducing deep blacks by improving the flatness level of the pixel surface.